Tar Wars is a tobacco-free education program for 4th and 5th grade children sponsored by the American Academy of Family Physicians. The Mississippi Academy of Family Physicians Foundation (MAFPF) serves as the state coordinator for this program with the mission of educating students about being tobacco-free, providing them with the tools to make positive decisions regarding their health, and promoting personal responsibility for their well-being. By utilizing a community-based approach to mobilize family physicians, educators and other health care professionals to present this program, the MAFPF can accomplish its mission. 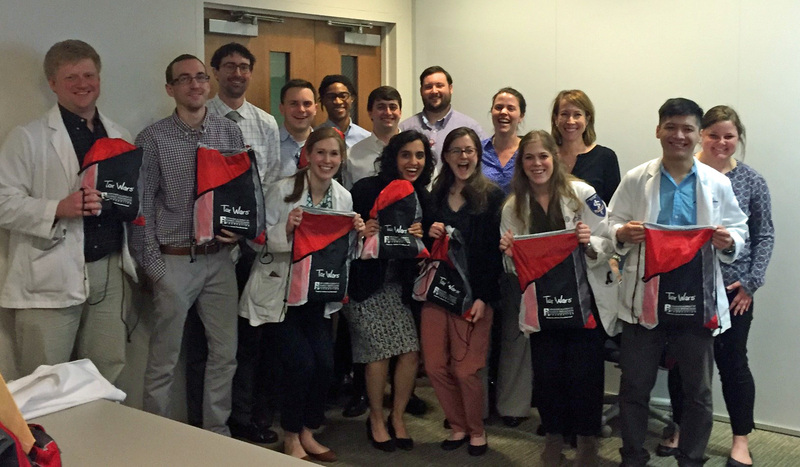 UMMC medical students learn about Tar Wars from MAFPF staff member Jewell Buckley. 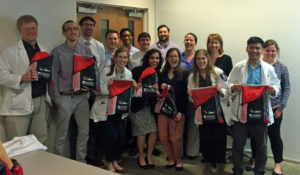 Third year medical students at the University of MS Medical Center teach the program to a 4th or 5th grade class during their rotation through the Department of Family Medicine. First-year medical students at the William Carey University College of Osteopathic Medicine do presentations as well. In addition, family physicians, school teachers, school counselors, nursing students, etc., teach the program each year. In just one hour, you can give kids in your community the gift of longer, healthier lives.